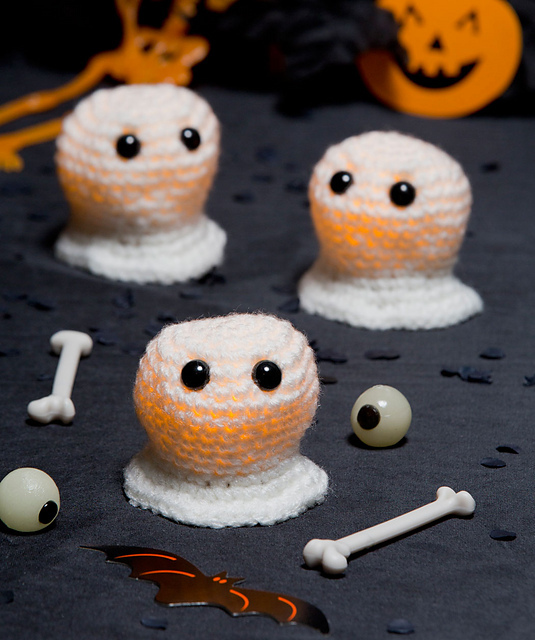 Cute glowing ghosts! Easy pattern from Red Heart, link via Ravelry. How awesome is this rain cloud costume? :D From Make It & Love It. And purple rain for awesome grown‐ups. From Curbly. And the most scared jewelry — petrified wood! Learn how to wire‐wrap them on Doodlecraft. 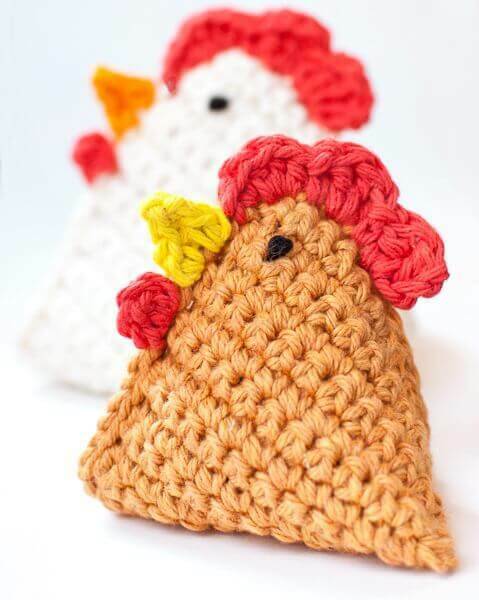 These cute triangular bean bag chickens :D from Petals to Picots. These hedgehog mitts are super adorable and oh they’re knitted flat!! From mom.me. Make a toasty waffle blanket! Maybe the stitch will work for a sweater too… From Lu North, Strong and Free. Elegant sweater, reminds me of falling leaves, from Nurturing Fibres.